SOLIDWORKS® leads the global 3D computer-aided design (CAD) industry with easy-to-use 3D software that trains and supports the world's engineering and design teams as they drive tomorrow's product innovation. What's New for SOLIDWORKS 2019? Selecting the number of processing cores in your SOLIDWORKS workstation is critical. SOLIDWORKS is a frequency bound application, meaning that it predominantly uses only one core. Since the frequency of that core determines performance more than any other variable, a workstation with less cores (but higher frequency) is ideal. Because of this, BOXX safely overclocks our SOLIDWORKS workstations up to 5.1GHz delivering the fastest, most productive SOLIDWORKS computer on the market. Unlike modeling and design tasks, rendering and simulation are multi-threaded and take advantage of multiple CPU cores, however, performance gains level off after ten cores. Therefore, an ideal solution for SOLIDWORKS simulation is an overclocked eight-core or ten- core APEXX workstation. If you need to render your SOLIDWORKS assemblies, you have options, each with different compute requirements. SOLIDWORKS Visualize is a standalone, GPU-accelerated rendering tool based on NVIDIA Iray, so overclocked, multi-GPU APEXX workstations are ideal for this type of workflow. Many BOXX customers integrate CPU-based rendering tools like KeyShot into their workflows. In this scenario, you may require dual Intel® Xeon® solutions with multiple CPU cores. The ideal platform for GPU-accelerated rendering, APEXX W8R features a Xeon W processor and is configurable with up to eight professional, dual-width NVIDIA® Quadro™ or AMD® Radeon Pro™ graphics cards. Configurations will vary greatly based on specific needs. Please contact us for a quote. Many engineers and product designers require mobility. Whether you work remotely, or are constantly on the road, you need a SOLIDWORKS mobile workstation capable of handling large assemblies. GoBOXX SLM is an ultra-thin and light mobile workstation featuring a fast Intel® Core™ i7 processor and professional NVIDIA Quadro graphics. The GoBOXX MXL is a true desktop replacement, featuring a desktop-class Intel® Core™ i7 processor, 64GB of RAM and high-end NVIDIA Quadro graphics. Note: GeForce drivers are not certified for SOLIDWORKS. MXL VR is intended for delivering mobile virtual reality experiences. Featuring an Intel® Core™ i7 processor and professional NVIDIA® Quadro™ P2000 4GB graphics on a gorgeous full HD display (1920x1080), GoBOXX SLM delivers quality performance for the architect, product designer, or content creator on the go. Featuring an Intel® Core™ i7 processor and professional NVIDIA® Quadro™ P3200 6GB graphics on a gorgeous full HD display (1920x1080), GoBOXX SLM delivers quality performance for the architect, product designer, or content creator on the go. PART I: In a SOLIDWORKS Shootout, GoEngineer’s Steven Darcey benchmarks the BOXX APEXX S3 against Dell Precision 7920 (the top SOLIDWORKS solution recommended by Dell) covering assembly opens, flow analysis, and reboot times. PART II: The Dell vs. BOXX SOLIDWORKS Shootout, hosted GoEngineer’s Steven Darcey, continues with head-to-head benchmarks for thermal analysis, simulation, flow analysis, and rendering. 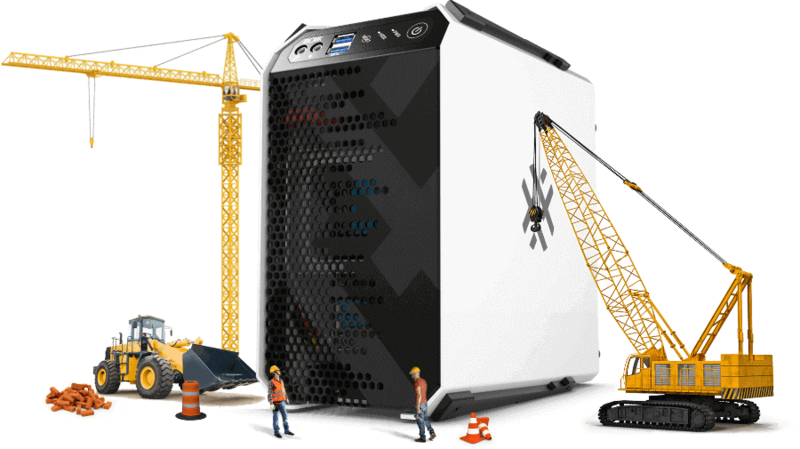 For SOLIDWORKS users, BOXX APEXX workstations provide faster rebuilds, reduced open and save times, and overall improved interactivity with large assemblies. In other words, we make you more productive. Optimize the new features found in SOLIDWORKS 2019 with BOXX overclocked APEXX workstations. SOLIDWORKS 2019 offers new enhancements and improvements (most created in response to user requests) that will accelerate product innovation, help you simplify the interaction between product development teams, and grow your business. The SOLIDWORKS® 2019 Installation Manager uses new download methods that deliver up to twice the download speed of SOLIDWORKS 2018. The new download methods also provide a solution in cases where the Installation Manager failed to download installation files. Performance when creating, opening, and editing hole tables has improved for large numbers of holes and for the combination of circular and noncircular holes. The time it takes to switch from a model to its drawing (under certain conditions) is improved. 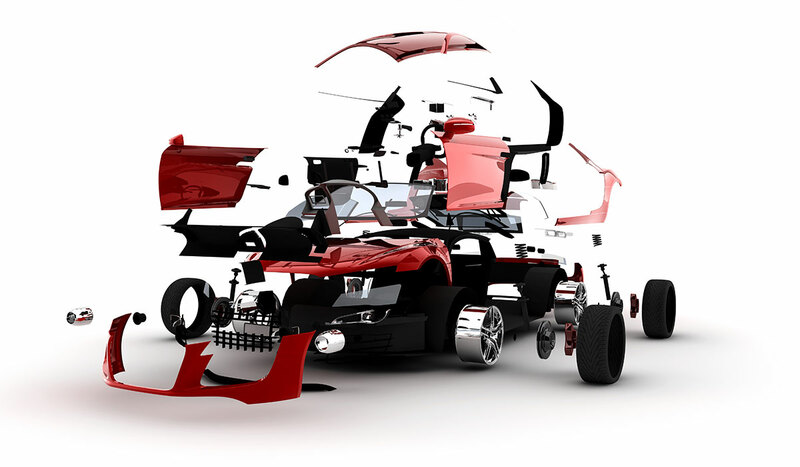 A new graphics architecture for parts and assemblies provides a more responsive, real-time display, especially for large models. Modern OpenGL (4.5) and hardware-accelerated rendering maintain high level detail and frame rate for panning, zooming, or rotating large models. Select Include drawings, and an option in System Options improves performance by limiting the search for drawings to specific folders. SOLIDWORKS PDM has improved performance of loads for large assemblies and complex reference structures in the Contains and Where Used tabs. Performance is improved when you synchronize SOLIDWORKS PDM objects with a large number of files and folders. To learn more, including the latest Routing, Toolbox, Simulation, and eDrawing improvements download the What’s New SOLIDWORKS 2019 pdf.